NOW OPEN EVERY SATURDAY FOR BRUNCH! 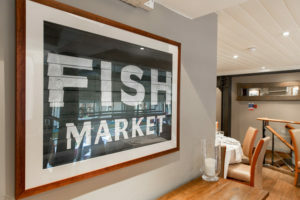 Fish restaurant and seafood restaurant in City of London offering private dining & event catering for large or small groups over 4 floors & outdoor terrace. We support sustainable farming and fishing methods that allow us to create menus without compromise. The best quality and taste comes from produce not subjected to intensive methods and the strong relationship we have with suppliers who share our values guarantees traceability. We can trace our products from the deep to your dish and from the farm to your fork. You’ll find low-impact methods that causes as little damage to the environment such as creel-fished langoustine and hand-dived scallops, this method protects the seabed and a limited catch secures the future of this glorious seafood within the catchment area. We do believe trawling for certain fish is acceptable however we buy only from regulated boats within designated areas. All fish is supplied by our parent company Chamberlain & Thelwell located at Billingsgate Market. The poultry, beef and lamb we serve are raised in a natural healthy environment. 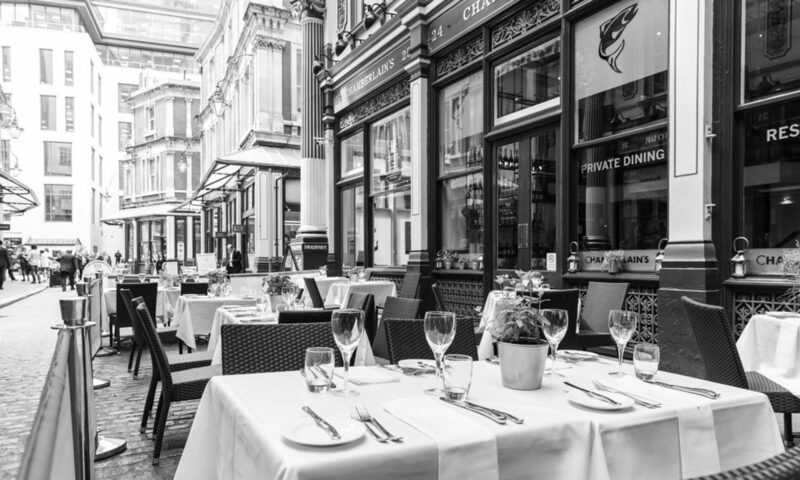 We make efforts to reduce food-miles by respecting seasonality and sourcing primarily British ingredients (organic whenever possible) from Billingsgate, Smithfield and New Covent Garden. The suppliers of soft and lightly sparkling water, Llanllyr Water Company, draw the water from certified organic land. They are a carbon neutral organisation and official supporters of Just a Drop.